Truck Driving Jobs that Earn $65-95 Thousand A Year . 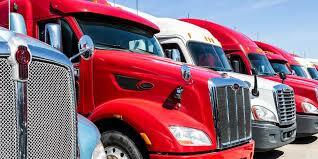 Truck driving jobs is for New or Experienced truck drivers alike. You can be making more than 50 cents a mile and up to $2,000 dollars a week! the economy. The demand for drivers is high. There is no reason why any truck driver should not be making a bare minimum of $50,000 a year. If you are you have the wrong truck driving job. Don't settle for cheap paying jobs. Start looking for a better paying job. No driver should be making less than $50,000 a year. If you are a new driver or have been driving a truck for years, you should make the most money per mile and be home as often as possible. Why drive the same roads for less and be away from home for weeks at a time when it is not necessary? In the past the good trucking companies jobs do not advertise! But times have changed and now they are all advertising. Before you start sending me emails saying "It can't be done" and "No truck driver makes that kind of money" let me tell you that I am living proof that it can be done! I did it, and I am still doing it ! Making over $60000 a year is really not all that hard. Here is the simple math. 3000 miles a week at a minimum of .40 cents a mile= 3000x.40= $1200 a week. $1200 x 50 weeks= $60000. Plus more if you get detention pay or drop off pay. There are plenty of jobs that pay over .40 cents a mile. There are even jobs paying over .50 a mile You just have to look for them. They are not going to come to you and drop in your lap. Its your job to search for them. Of course if you really want to make some money you can go to work with some of the companies that pay .50 a mile. These are not that hard to find. They just don't advertise. Because they don't have to. Some of the are Yellow/Roadway, FedEx, Salis, UPS, ABF, New Penn USF Holland just to name a few.